Don’t you hate trying to untangle jewelry or those impossible knots in a delicate chain? Me too. 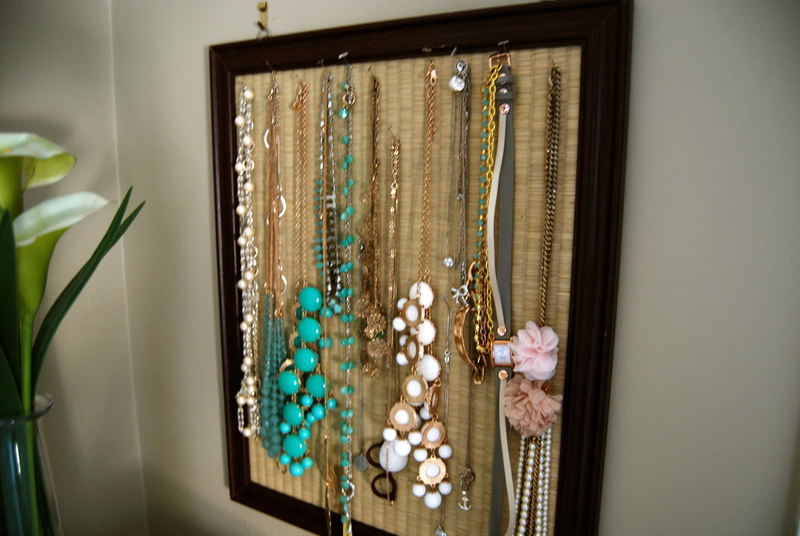 Which is why for years now I’ve been hanging my necklaces on a peg board. I found this grass-cloth board at Target a while ago. 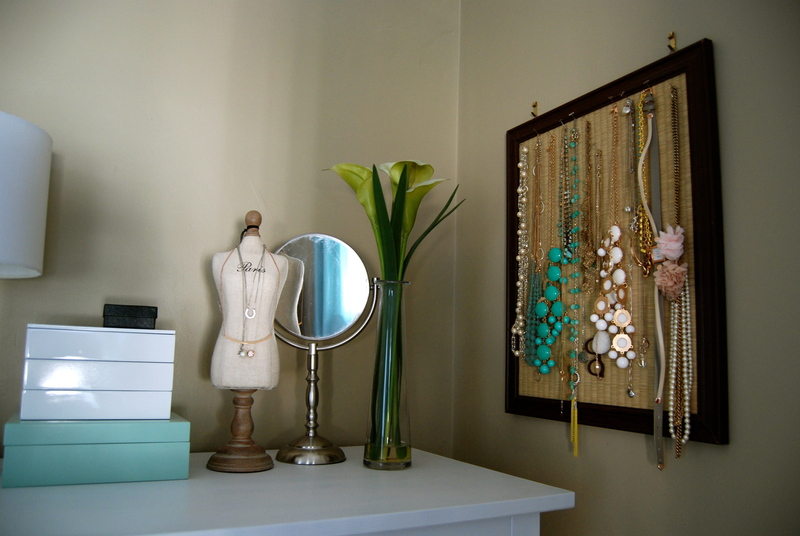 Just a little fancier than an office cork board since this hangs in my bedroom. The system definitely makes life easier when I’m running out the door in the morning. Plus… it’s pretty! 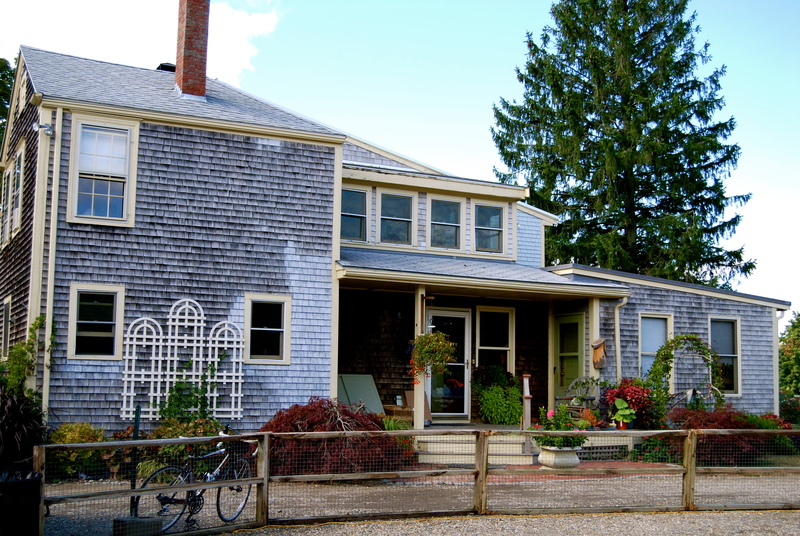 This cottage makeover will knock your socks off. 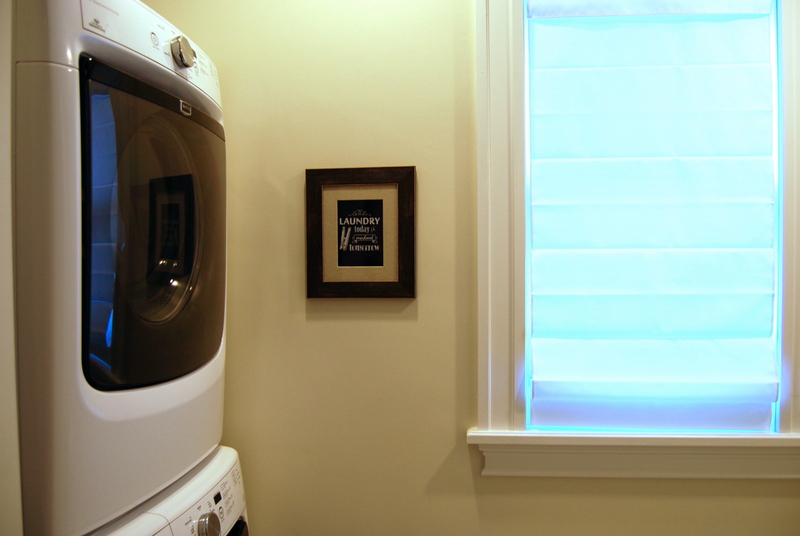 Julia from Hooked on Houses featured all the befores and afters of this stunning makeover this week. I love me some white brick and this week, Myquillyn from Nesting Place featured a fab mantel makeover! Fall weather makes me want to break out the crock pots. Yes pots plural. We have both a veggie friendly and a carnivore friendly pot in this house. That way we can make two chilis at once! But I’ve never tried a loaf of bread! 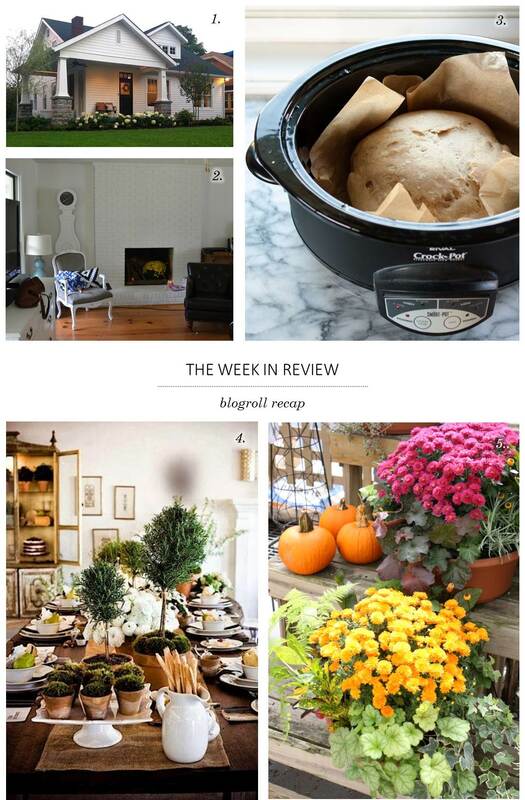 Farima from Design Happens features a slew of recipes for the slow cooker including this bread loaf from a friend. 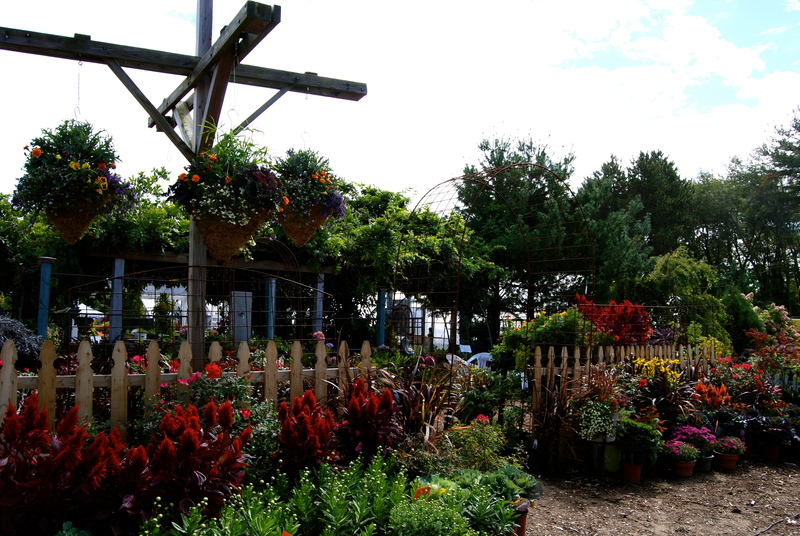 …or some lovely fall planters like these beauties from Laura over at Bright Bold & Beautiful. Why does it seem like bathroom art always consists of florals or bad hotel prints? Obviously, I’m not a fan. 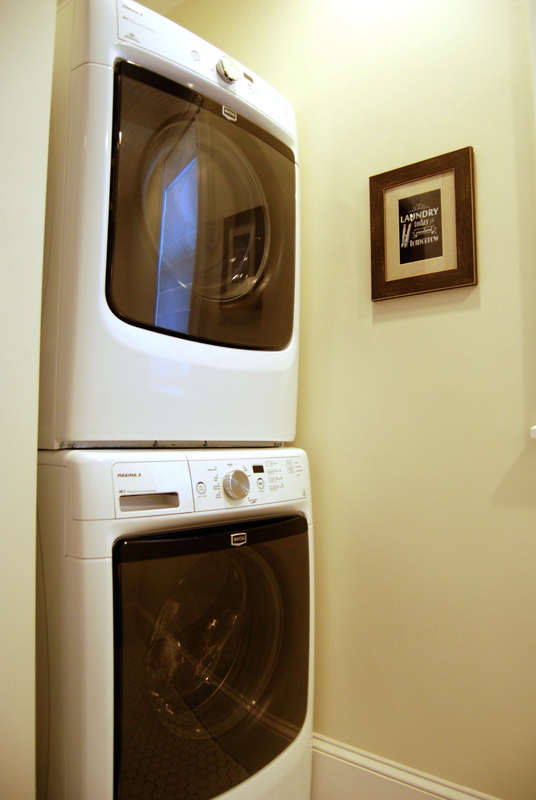 So when it came to our new master bath, I wanted something different and fun. This quote is all over the internet but none of the designs were appealing to me. So I whipped up a little faux chalkboard number in Photoshop. 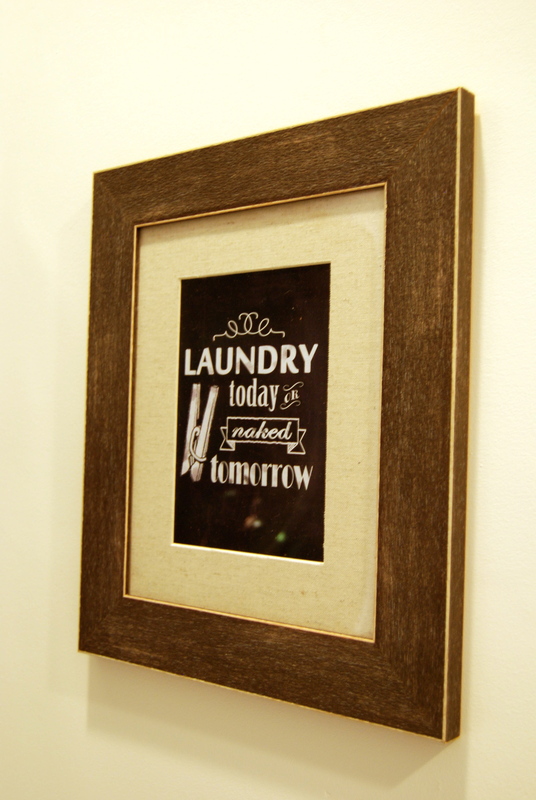 A little reminder of “Laundry Today or Naked Tomorrow” will certainly brighten up laundry day! 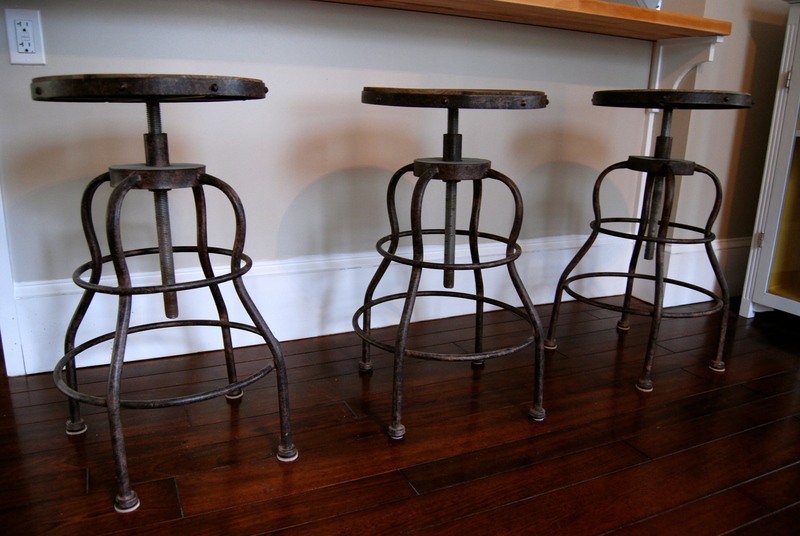 We picked up these industrial chic stools from Joss & Main for our kitchen peninsula before the peninsula even existed! 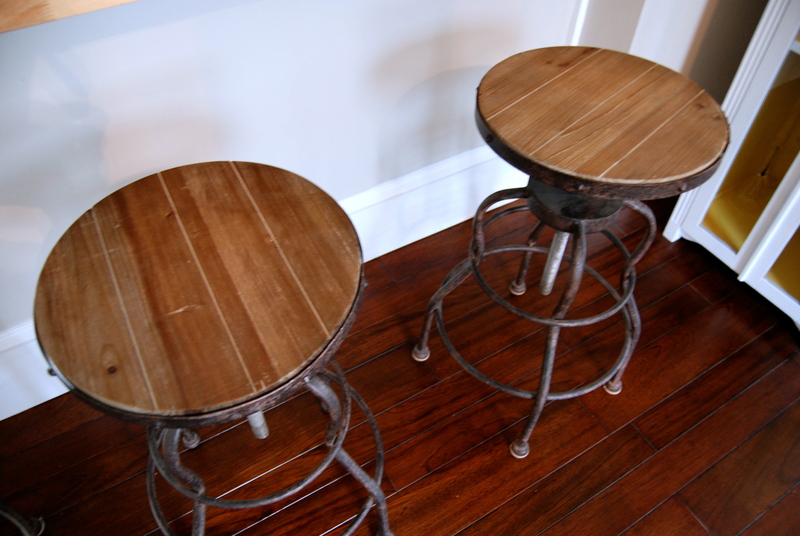 I just know that on these stools there will be plenty of sleepy morning cups of coffee, late night chats, and cousin game nights! If you’re interested in some unique pieces and great deals, check out Joss & Main. It’s an online auction site with exclusive sales every day. Their themed collections are from highly coveted brands and niche designers. New sales launch daily at 11 a.m. EST and run for a limited time. So catch them while you can! 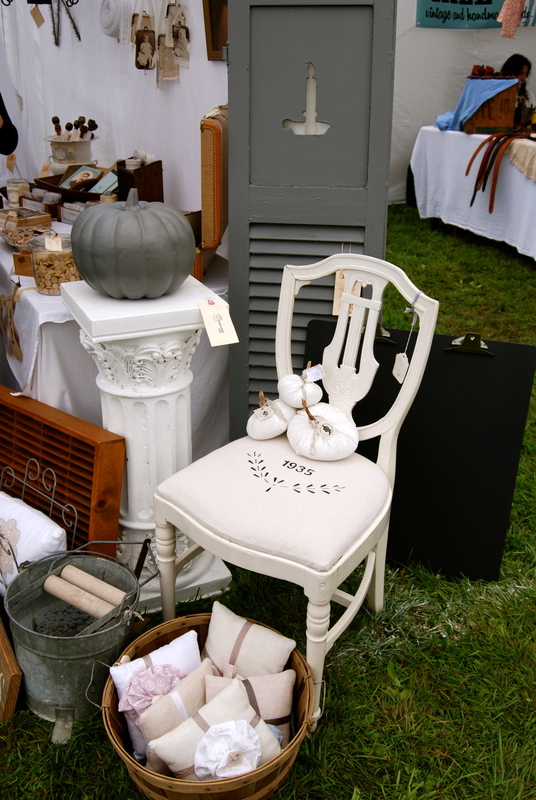 This past Sunday, my cousin Maria invited all the cousins to the Vintage Bazaar up at Pettengill Farm in Salisbury, Massachusetts. 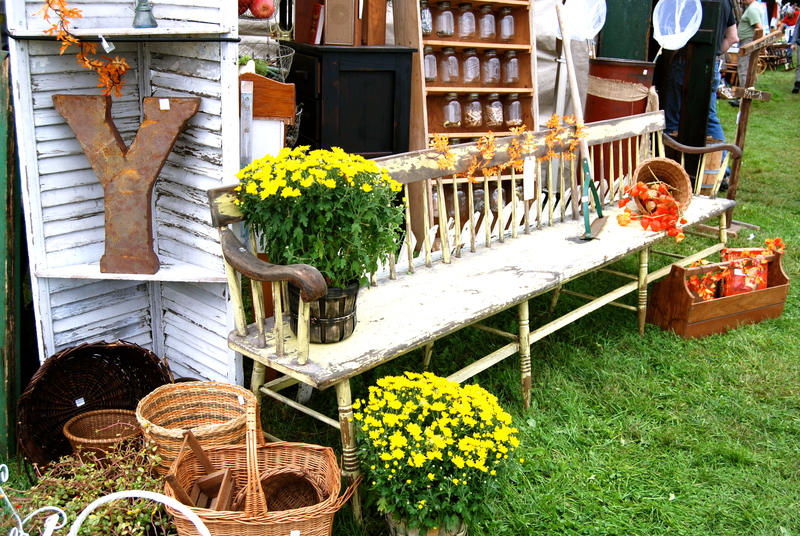 One hundred and thirty antiques and craft vendors set up mini shops all over the farm two weekends a year. 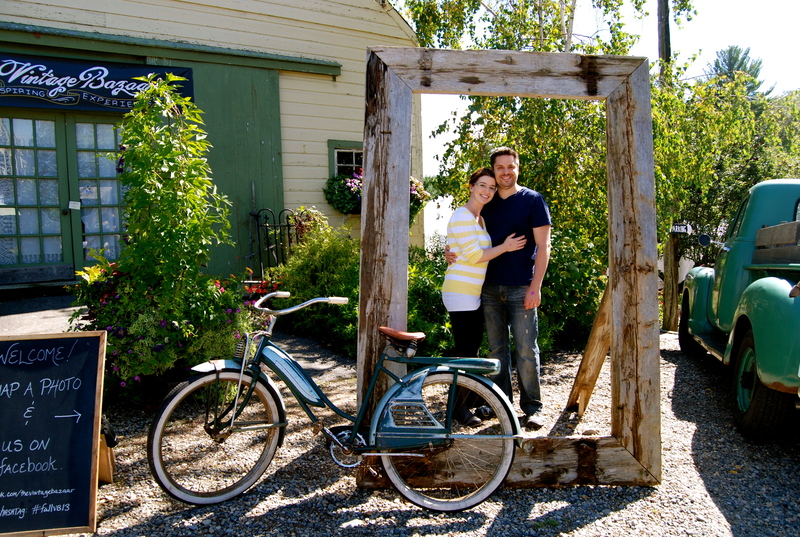 Maria, having gone in the Spring, claimed that it was right up my alley… and boy was she right! 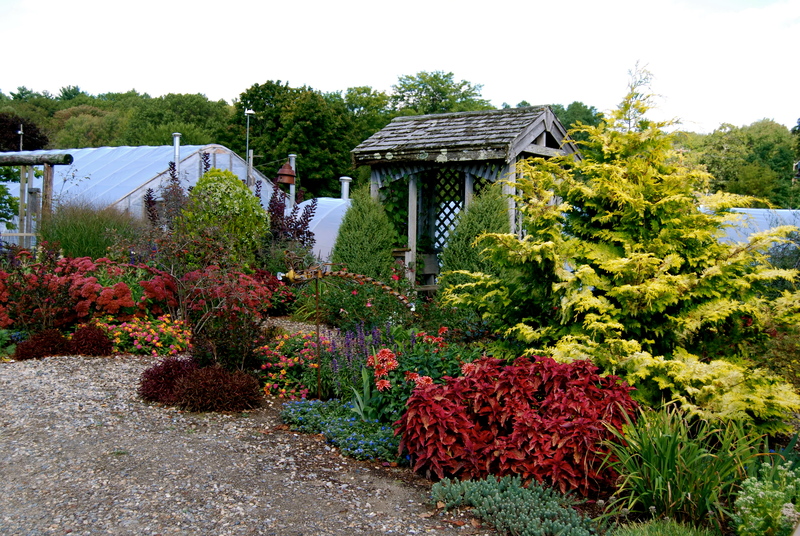 The morning was grey and rainy but as soon as we arrived at the farm, the sky cleared and it turned out to be a beautiful fall day. The farmhouse with it’s lovely gardens was a site to see in itself but to the left and right were tents upon tents with vendors, food, pumpkin bowling, and live music. We met up with my cousin Alex and his wife Sara for some furniture hunting. All of us are fairly new homeowners so we had our sights on some particulars. For us, it was a new coffee table. I had originally wanted to do a paint wash on our old coffee table but after one failed attempt, I can’t even bring myself to look at it covered up and sitting in our backyard. 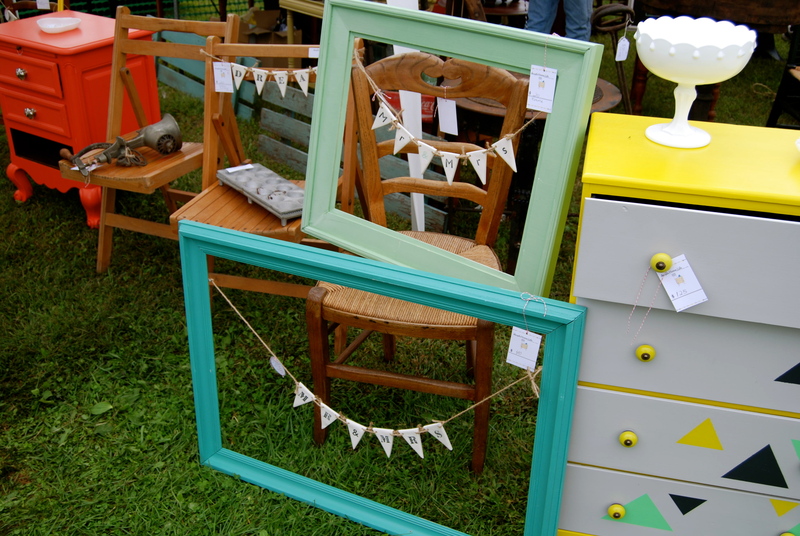 This vendor had some bright and cheery colors and I loved these Mr. & Mrs. banners. This little navy number kept catching my eye. The color was fabulous especially with the white milk glass set on top. 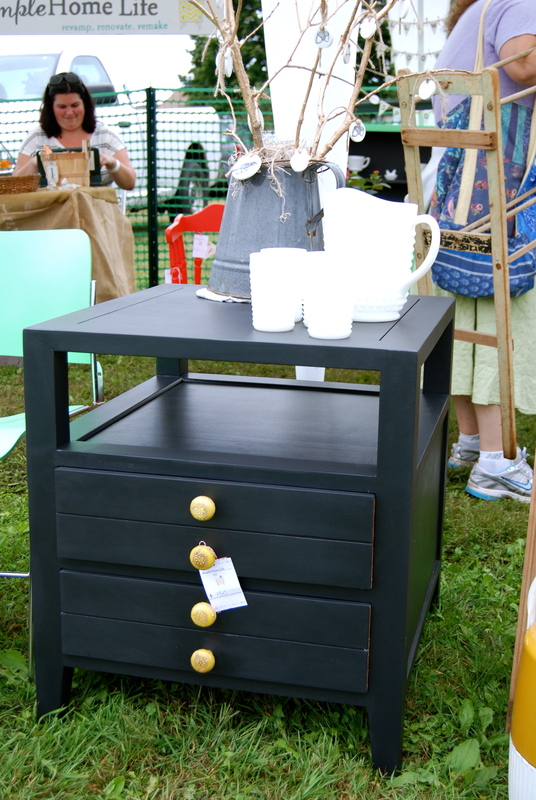 And this vendor had the most lovely color scheme! Everything was creamy ivories and greys! I felt right at home. And a pumpkin on a pedestal? Why didn’t I think of that! After a fun morning of browsing I finally saw it. 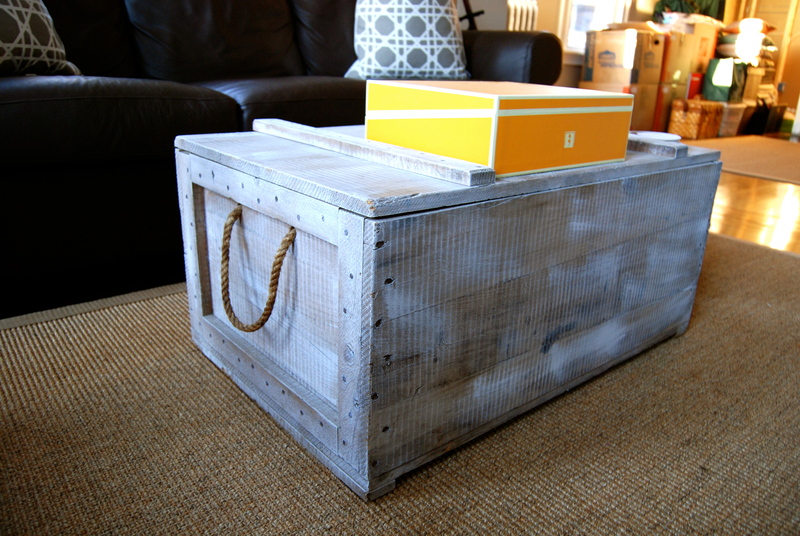 The perfect trunk for a coffee table! 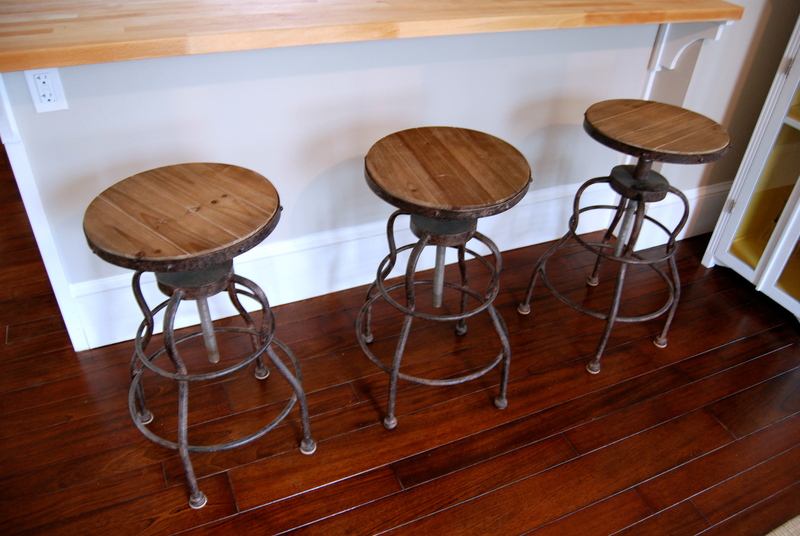 We’re going to add some casters to the bottom to give it a little more height but other than that, it’s perfect! Here it is in our living room below. All in all, a very successful trip to the Bazaar!